When we're on a healing diet, our kitchens become our safe places. It's where we prepare delicious food that helps our body heal, with no worry of cross-contamination or hidden ingredients that can cause an autoimmune flare. However, we don't want to feel trapped at home. Many of us have loved ones spread across the globe, and there are also so many beautiful places to visit. How can we travel with confidence, and stay healthy at the same time? I've been on a healing diet for three years now, and I have traveled extensively. My two guests have traveled even more than me. We share advice for everything from plane travel to road trips, international adventures, camping, business trips, Disneyworld and more. Pack your bags! Fun awaits. Sirpa Kaajakari is the blogger behind Kaiku Lifestyle. 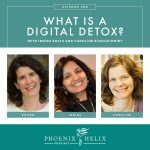 She follows a personalized paleo autoimmune protocol (AIP) and has completely healed her eczema, digestive issues and blood sugar imbalances. Removing grains made the biggest difference for her health, and the AIP fine-tuned the details. 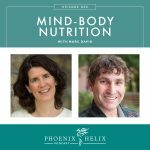 Emma King is the blogger and health coach behind Conscious Autoimmunity. She is reversing rheumatoid arthritis through the AIP. She developed chronic fatigue syndrome when she was a teenager and her mother put her on an elimination diet. After a year of exhaustion, the diet turned her health around. Then after the birth of her daughter in 2008, she developed RA. 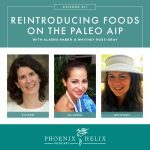 She first went gluten-free, then paleo, and finally AIP in 2013. While she noticed improvement with each level of diet, the AIP made the biggest difference, because she learned that nightshades are one of her biggest triggers. Emma: (1) Epic Bars: Bison Bacon Cranberry, Uncured Bacon Bar, and Beef Apple Bacon (2) Wild Planet Tuna and Salmon. (3) Inka Plantain Chips. Sirpa: (1) Raw Fruit and Vegetables. (2) Avocados and Olives (3) Wild Planet Sardines. Note: check ingredient list on olives to avoid allergens and additives, and be sure they don't contain pimentos (which are a nightshade). Eileen: (1) Wild Zora Lamb Rosemary Bar. (2) Rosemary Pork Clouds. (3) Vital Choice Pouched Tuna and Salmon. Sirpa: just eats a good meal before and brings along a couple of the snacks mentioned above. Eileen: prepares a simple lunchbox of cooked chicken or beef, some raw vegetables and avocado. Don't forget the fork! Emma: often takes the opportunity to do some intermittent fasting on a long plane trip. She brings her own teabags and collagen and just asks for hot water. She also takes probiotics and vitamin C to protect herself from the germs on the plane. If she does eat, she'll bring a simple meal like chicken tenders, salad and olives, and she also packs an extra meal in case of plane delays. She also brings avocados, apples and bananas which all travel well. Sirpa: is from Finland originally and she and her family travel there regularly. It's a 20-hour trip with plane changes, and she packs food for the entire family in ziplock bags. She'll freeze some of them so they stay fresh longer and thaw during the trip: (1) coleslaw or salad (2) meatballs or chicken drumsticks (3) paleo muffins or crackers (4) fermented vegetables which don't need refrigeration (5) and all the snacks mentioned earlier in the podcast. Emma: ideally likes to travel by RV with a fridge/freezer. If she's in a car, she brings a powered cooler which plugs into the car outlet and has the option to keep food hot as well. She also brings her Crockpot, and in the RV she can have dinner cooking so it's ready when they reach their destination. Crockpot also sells a small model designed to plug into a car outlet. Eileen: My road trips usually last two days on the way to visit family. We bring a small cooler with the food we'll eat during the travel days. Then we bring a big cooler with food for our destination; we put dry ice in the big cooler and don't open it during the trip. Some of the things I bring with me in the big cooler are: (1) Mason jars full of my favorite breakfast soup. (2) And lately, I've added Paleo on the Go Frozen Meals, to make travel even easier. I also bring AIP treats when I travel to keep me from being tempted by more harmful junk food on the road. (Keep in mind that treats shouldn't make up a big part of a healing diet.) 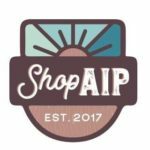 Resource: my article on AIP Road Trips. Sirpa: brings her camp stove and uses it at rest areas. She also brings a toaster oven and a blender, so that if they end up in a hotel without a full kitchen, they have options. She also loves her Yeti cooler, because it can keep food cold for days. Emma: uses the Find Me Gluten Free to find restaurants while traveling. Her favorite chain restaurant is Red Robin. They have separate fryers for their sweet potato fries. They have a lettuce wrap option on their burgers. And they have an allergy app that they bring to your table to help you order safely. The only thing missing from the app is nightshades, so you need to ask about that. On business trips, she often asks her client to choose Japanese restaurants where she can order sashimi, or a flame-grilled steakhouse. Eileen: There are two directories of 100% gluten-free restaurants (see my link love travel list). Otherwise, I request the gluten-free menu, let the waiter know up-front that I'm a good tipper, and choose one or two items I think might work with my diet and ask them to double-check with the chef. Usually, it's a steak and unseasoned steamed vegetables. I bring a travel bottle of olive oil and bring my own Herbamare seasoning with me. Sirpa: likes to camp and also rent cabins in state parks. For hotels, she likes Residence Inns because they have kitchens. She also likes to stay at friends' homes along the way. With friends, she offers to do the cooking for everyone, so she knows it's safe food. She also brings her own dish brushes, wooden spatulas and frying pan, to avoid gluten cross-contamination. Emma & Eileen: both love Airbnb, choosing to rent the separate lodgings with independent kitchens. If that's not an option, we look for hotels with a kitchen or kitchenette. Camping Advice from Sirpa: (1) Be sure you have a good camp stove and cooler. Sirpa likes a Yeti cooler because it's bear-proof. (2) Prepare as much of your food in advance as possible. Some of Sirpa's favorite camp food is: cabbage casserole, breakfast sausage and plantain pancake batter (these last two recipes are in the AIP Breakfast Cookbook.) (3) Resource: Sirpa's Camping article on her blog. (4) If you want backpacking tips, checkout Backcountry Paleo. Disneyworld Advice from Emma: Disney excels at accommodating special diets. Avoid fast food in the theme parks; seek out the restaurants instead and speak to the chef. They'll create a meal especially for you. However, you need to plan on extra time. If you're staying in a Disney hotel/resort, you can ask the kitchen to prepare meals for you to take to the theme parks. They'll pack your meal in ice and label it as allergen-specific food. Because it's prepared by a Disney hotel, they allow it into the parks. Resource: Emma's Disney article on her blog. Cruise Ship Advice: Tamar's article on the Paleo Mom's blog. Business Trip Advice from Emma: Contact the hotel kitchen and any restaurants you'll be visiting on the trip – in advance. Giving them time to prepare for your special dietary needs will make for a much smoother experience, rather than stressing out the chef by springing special requests on them at the last minute. She also lets her business clients know about her special diet in advance so that she can consult on the restaurant choices. Resource: Business Travel article from Field Notes on Healing. 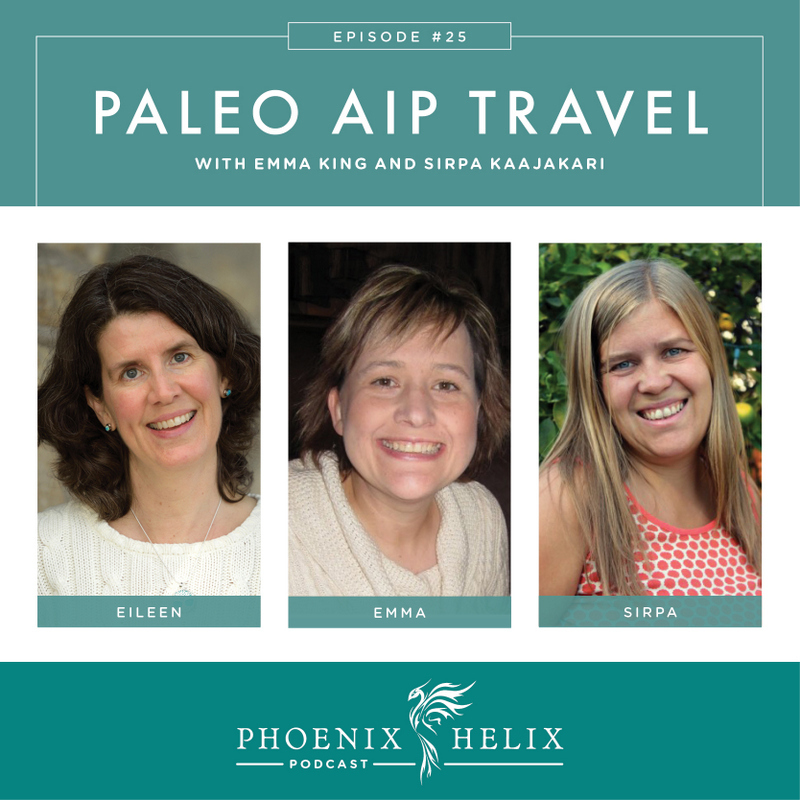 International Travel Advice from Emma & Sirpa: While you can bring food on the plane, you will often get stopped if you try to carry food off the plane when traveling between countries. Absolutely no fresh meat or produce is allowed through. After that, countries vary on whether packaged food will be allowed through. You can try – just know that the customs agent might confiscate it. The USA tends to be stricter than Europe. Australia and New Zealand are also very strict. Sirpa: Do as much planning, research and preparation in advance as possible, so you can relax on the trip. Then, incorporate mindfulness during travel as well – deep breathing during stressful moments. Emma: makes sure she plans enough time to sleep on her trip, and to adjust to jetlag and time differences when traveling internationally. Her favorite stress-relieving breathing technique is crocodile breathing and she does it every day. Eileen: no longer takes early morning or red-eye flights, or leaves for road-trips at dawn. Instead, I prioritize sleep, knowing how important it is to my autoimmune health. I eat a good breakfast at home and travel in the late morning or early afternoon. Resource: Gutsy By Nature's Healthy Travel article. Sirpa blogs at Kaiku Lifestyle..
Emma is the health coach and blogger behind Conscious Autoimmunity. For more travel resources, check out my Travel Series here on Phoenix Helix.